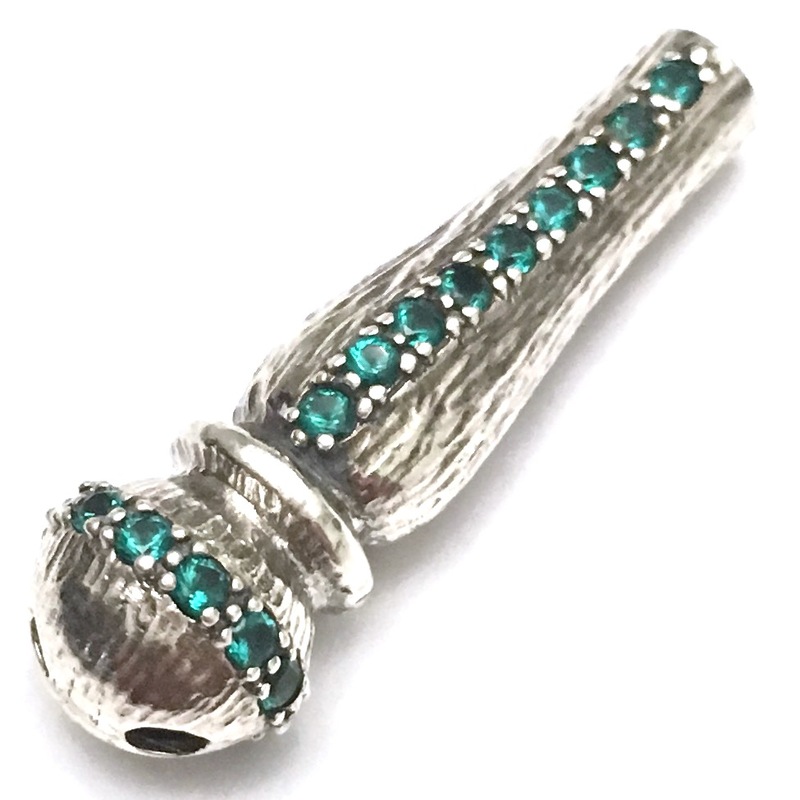 Technique: flat shiny, studded in two lines vertical, one line circular with cubic zirconia beads in emerald colour. Two holes at bottom, one hole at the top. Suitable for beads 6 mm or larger. Usage: main bead (sting / imame) for Islamic prayer beads, priest bead for Greek kombolois, also as junction unit for necklaces or pendants.